Coming off a surprising 2015 season, the Minnesota Twins found themselves picking in the middle of the 2016 Major League Baseball draft. Having made picks in the top six for the past three years, this draftee was supposed to represent less of a sure thing. 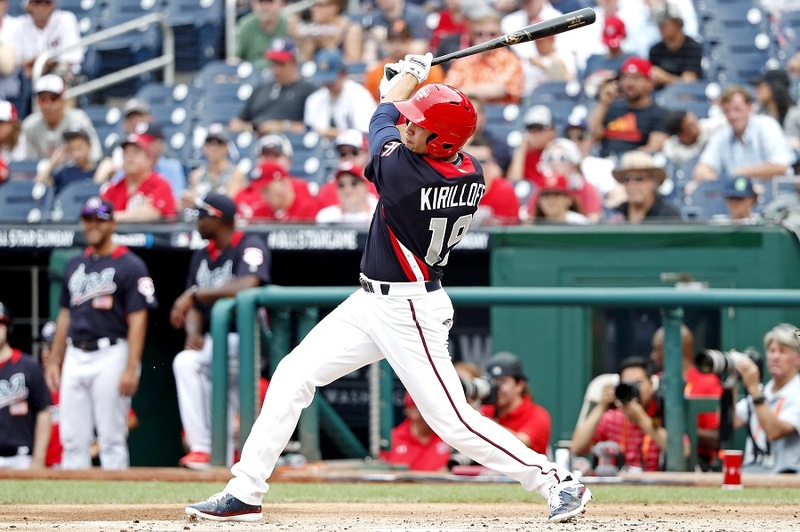 Nabbing high school outfield Alex Kirilloff with the 15th overall selection that year, scouting consensus was that Minnesota got a bat first prospect with plenty of need to develop. Fast forward to where we are today, and Kirilloff is now a 20-year-old who’s missed a whole season of professional baseball thanks to a Tommy John surgery. While that reality seems damaging on paper, we know that the current situation couldn’t possibly be yielding better results. Despite not being a top five pick, despite missing his entire age 19 season, Kirilloff has taken the Twins farm system by storm and that only adds to the level of intrigue. In advancing to the Florida State League Championship Series with a victory last night, the Fort Myers Miracle were again led by their slugging outfielder. Going 5-for-5 on the evening, Alex is now 7-for-9 in postseason play this season. The .778 average and 1.889 OPS are obviously reflective of just a two-game sample size, but his production down in Florida this year lets us know it isn’t a mirage. On the season, Kirilloff spent exactly 65 games at each of Low-A Cedar Rapids and High-A Fort Myers. After posting a .333/.391/.607 line in Iowa, he graduated a level and performed even better. Slashing .362/.393/.550 for the Miracle, Kirilloff trumped all Florida State League hitters dating back to at least 2005. Brent Keys, a non-prospect taken in the 15th round, was the last hitter to record an average north of .345 over any relative level of games played. Big leaguers like Josh Bell, Christian Yelich, and Stephen Vogt all laid waste to the FSL competition, but none in the same vein as Kirilloff. Now having completed just over a full big-league season’s worth of action in his pro career (185 games), he owns a .335/.377/.541 line. There are 27 homers to his credit (20 of which have come this season), and his strikeout-to-walk ratio is acceptable at what amounts to 0.5. In short, the bat-first prospect with plenty of need to develop has looked the part of an absolute menace. The contributions at the plate have been eye-popping, and it’s time to start speculating as to what’s next. There’s plenty of reason to believe that Kirilloff could’ve handled Double-A pitching this year. Having already jumped a level, and with their respective seasons winding down however, it made sense for him to chase a ring with the Miracle. To kick off 2019, the expectation should be that he gets a ticket to Chattanooga and has a door knocker ready to hammer on the Twins. Realistically, something around a 100-game sample size could be telling enough for his prospects at the next level, and it’s in the leap to Double-A that the last looming questions remain. While affiliate leagues all differ in their predictability, it’s genuinely accepted that Double-A is the final threshold when projecting a big-league future. Seeing pitchers with an ability to spin, rely on more than just their fastball, and having moved on from fringe organizational players, a strong showing there can provide the final assessment prior to blueprinting a big-league future. At some point, the Twins will need to decide what Kirilloff is for them at the next level. Having made a home in right field on the farm, it appears his bat profile is plenty capable of being a corner outfielder. Minnesota should have one of those spots locked down by Eddie Rosario, but Max Kepler’s long-term viability remains a work in progress. Alex could be transitioned to be the heir at first base, but similarly talented prospect Brent Rooker may be a better fit there. Putting the horse a bit ahead of the cart here, there’s no doubt the stick will be accommodated. You’d be far from crazy to suggest an MLB debut for Kirilloff in the season ahead. He could be a regular for Minnesota in 2020. Regardless of when he debuts though, it’s 2018 that should be a season to be remembered. This type of showing at the dish is one we are rarely privileged to see, and despite being overshadowed by the bat of Vladimir Guerrero Jr., Kirilloff is currently in the same company when it comes to eye-popping results. At some point down the road, once his big-league career is established and well under way, it’d be great to see major league production at similar heights. Obviously batting .360+ at the highest level would seem like a long shot, but a .900+ OPS power threat, with strong on-base skills, and an ability to avoid strikeouts would be something that any franchise would clamor for. I enjoyed reading this article so much that I read it again. I will never understand the thoughts on Kepler, he's exactly league median for RF and CF in all of the majors, and he's not exactly old.......but I'd certainly have him working at first, RF, and CF next year for this team. His bat is a bit down, but it's not terrible. As for Kiriloff, it is very hard not to be excited about him. Wow. Why no AFL for Kiriloff? Great article if we were the Braves Nationals or Cardinals he would be up in 2019. So I hope they make the right choice get them to double-a the beginning of next year and if he takes off like like it looks like he could be up halfway through next year. If the Twins don't move Kirillof, Gordon, Lewis, and Rooker to the majors next season they are insane. Sure, they will struggle, but you stick by them.Let them work it out.By the end of the season they will most likely be showing progress.We may lose even more games than we did this year, but getting this cohort of prospects in all at once is important. If after 125 games or so they are not figuring out then they are not high level prospects. We need to stop pretending that high quality major league prospects cannot jump to the majors without moving through every level of the minors. How is Kiriloff’s arm? Which “corner” would work best for him? And might he play 1B in 2020 while Rokker takes over in 2021? Any reason to start him at high-A for a month next year and then move him up to the Lookouts? I get it. It's just that I think this is one kid who would be up to the task and build on 2018 with different coaching input. I mean, 5 for 5 in a September playoff game doesn't look like he's slowing down much. I would have made the trip to AZ, especially if he were there, but just Rooker as the other main draw is not quite enough to commit. There is zero reason to move Gordon up to the MLB until he proves he can actually hit AAA pitching. He has done nothing to deserve a promotion. Lewis will most likely start next season in High A so there is no way he's going to move all the way up to the MLB in 2019. He'll probably spend a month in High A and if he's doing well then move up to AA but I highly doubt he makes it to the MLB. Kiriloff definitely has a chance since he'll start next season in AA but most likely won't get a call up until September. Rooker is really the only one who has a realistic shot since he should start next season at AAA but he definitely needs to cut down on the strikeouts or his bat will never make it. Just to echo the obvious, he's done all of this not only at 20yo, but coming off a missed season! I am NOT recommending playing it slow with him, and I think he legitimately could be ready to begin 2019 at AA, but there is so much mkre that goes in to those decisions, everything from approach at the plate, BB/SO numbers to defensive play being honed. I would not be disappointed or upset if he and Rooker both start next season where they finished, and then move up a month or so after the season began just to get their legs under them and get off to a good start. The same could be said for Lewis, but even younger, I'd bet more on a mid season promotion to AA. Absolutely agree with MIKE on angst over Kepler. The guys is still young, started behind the 8 ball a bit when compared to other HS age kids when signed, and practically skipped AAA. His first 2 seasons it was "if only he could improve his hitting against LHP like he showed in his breakout AA season". He did that this season, but somehow slipped against RHP. He combines his first 3 season's, LOOK OUT. At some point in 2019, 2020 for sure, Kirilloff, Rooker and Kepler can make a formidable trio to man 1B/RF/DH. By all accounts I've read, Rooker is a good athlete, not a slugging statue, and can be a solid OF. Ditto for Kirilloff. We already know how good Kepler is defensively, even as a solid CF. None of them bas to be pigeon holed in to only 1 spot. But I wonder what the best combination of the three would entail? So you’d bring all four of them up next year just to see if they sink or swim? Worked great for Hick and Buxton. I'm hoping he can be a MLB regular by 2020 and maybe he can come up and dominate unlike the rest of our prospects? I wasn't sure about this guy before this year, but wow, you can't help but appreciate those numbers. Why stop there? Graterol, Thorpe and Rortvedt could all come up then. I wouldn't be against a complete youth movement. I mean of those 7 in reality over a few will make it but it could be better than wasting them in the minors for another 3 - 5 years. I remember the same sense of urgency about advancement when the prospect's names were Rich Becker, Scott Stahoviak, Marty Cordova...we always champ at the bit , right? Remembering this reminds me to lower my expectations, for one, and to wait patiently. I'm convinced the organization gets the timetable right more often that we give them credit. I'm also of the belief that if Lewis, Romero, Rooker, Thorpe, Kirilloff, Gordon, Rortvedt, Graterol, Wade, Gonsalves, et al were all in Atlanta's pipeline rather than ours, their progress would be much more similar to what it's been than a lot of people think. Well said. Having seen Rooker play in person, I'd fully agree with that assessment. He really is a very good athlete and could very easily man a corner spot in the outfield, although I personally feel that he could be a very good fit at 1B. Rooker has a chance. The others will have a chance in 2020. The mid-season ones were before he did the same thing at High-A as he did at Low-A. I expect Gordon to get a cup of coffee at some point next year. Someone will need a few weeks on the DL. Rooker will probably force his way into the picture next year, especially if he doesn't get into his "new level/slow start" pattern that he's had at every other stop. I think AK and Lewis are a bit aggressive. Both would likely start in AA, though I think Lewis might start in A+... not sure. He wasn't quite as overpowering with the bat and will definitely need more minor league seasoning on his glove (though to be fair, he can do that at any level). I think the idea that all shoudl be up at some point next year though isn't wise. It has nothing to do with service time and everything to do with the tendency that fans have to ignore the very real learning curves at these levels. I think watching Buxton struggle in the majors should be a good reason for pause on rushing these guys. There's no harm in making them earn it, not to mention they are better setup to succeed if they do. It also ignores the fact that we'd have to toss aside someone like Kepler or not sign a 2B/SS to make that work. That would be punting on 2019 and quite possibly 2020. I love Royce Lewis, but MLB in 2019? Kiriloff is reminding a few of us of Kent Hrbek who came up from A ball. He would have to dominate at Chattanooga until the All-Star break before any talk of promotion next year. Rochester seems to be where our minor leaguers go to become AAAA fodder so I'm not sure I would send our top prospects there. I hope the front office knows when the time is right to bring players up from the minors, but if they don't make some serious trades or sign some good free agents who will come to the park next year to watch the current team? If they bring up prospects too soon, it means they struck out in improving the team and not many will admit to that. The jury is still out on Falvine. I hope they wheel and deal again like they did last off-season--though with players who actually earn their salary. If not, they will have no choice but to bring up prospects whether they are ready or not. What about when they were Morneau, Mauer, Cuddyer, Kubel, Liriano, Perkins and Baker? Seems the fans were right then. I don't think the front office is moving prospects slowly, but I don't think it's unfair for the fans to want to see them either, especially when the team at the MLB level is awful. Acuna Jr. played 57 games at AA and 54 games at AAA last year. He then played another 23 games at AAA this year, so he got plenty of experience at the top two levels before moving up to the Braves. Albies played 82 games in 2016 at AA and then 56 games at AAA. In 2017 he played 97 games in AAA. So, the Braves top two young talents both played a minimum of 77 games in AAA. Kirilloff could be on a similar path next season. He could play 60 games at AA and then moves up and plays another 60 games at AAA but that would basically be the entire minor league season. At that point he could then be called up in September, which would be an exceptionally quick track for him since he missed an entire season. Gordon would have likely been on the Twins had he performed at all in AAA this season. Based on how the new FO is operating prospects are moving up much quicker than they did under TR. Not all four, no, but I certainly wouldn't say Rooker and Kirirloff need to sit around in A and AA to start the year.....both should be moved up, and if they are very good, promoted here if needed. The league is younger and younger. Do people really think Buxton should have spent another year in AAA? Do we actually know that would have helped at all? It certainly worked for a lot of ATL and other players the last few years......just because two Twins struggled doesn't mean they should drag their feet with the next players. Really, Kiriloff could have been in AA the last month here, but that didn't happen. Then he could spend only a month in AA next year before moving up. So now we'll read how he has to play at least 2 months at every level before moving up, meaning it will be 2020 realistically, meaning they better go get another OF this off season if they plan to compete. Both Albies and Acuna had the same path 17 rookie, 18 A, 19, A+, AA, AAA, 20 majors. This is very similar to Kirilloff, except he started at 18 and had TJ surgery. He actually could be a bit ahead of them if he is up next year. Lewis is also very similar. If the Twins go with the ATL model, next year both start in high A and finish in AAA, and get called up real early in 2020.